The H. L. Hunley arrived in Charleston on August 12th, 1863, accompanied by James McClintock and Gus Whitney, one of the investors in the sub. 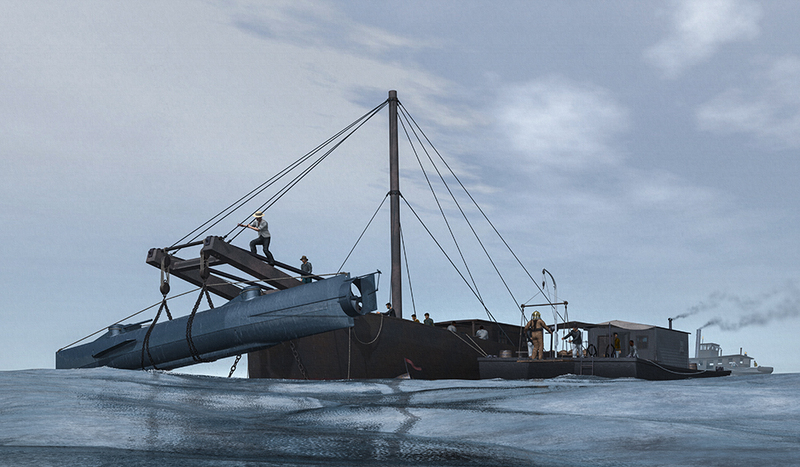 The crew quickly began testing the Hunley in Charleston Harbor. Frustrated by McClintock’s pace, the Confederates seized the Hunley submarine and turned it over to Lt. John Payne, a Navy man assigned to the CSS Chicora. On August 29th, the Hunley was moored at Fort Johnson, preparing to depart for its first attack on the blockade when it suddenly sank at the dock. There are conflicting stories of what happened: Some claimed the wake of a passing ship flooded into the Hunley’s open hatches, filling it with enough water to sink it. Others claimed the mooring lines of another ship became tangled on the sub, pulling it onto its side until its hatches were underwater. Whatever happened, the result was the same: the Hunley sank immediately, taking five of her crew down to their deaths. Payne, who was standing atop the sub, jumped into the water and was rescued. William Robinson escaped through the aft hatch and Charles Hasker – trapped by the hatch cover – rode the sub to the bottom before freeing himself and swimming to the surface. It took weeks to retrieve the submarine, and in that time Horace Hunley arrived in Charleston and demanded the submarine be returned to him. Gen. P.G.T. Beauregard granted the request, and Hunley sent for a crew of men from the Park and Lyons Machine Shop in Mobile. During her test missions in Charleston, the Hunley suffered two fatal sinkings that would claim the lives of over a dozen men, including Horace Hunley himself. On October 15th, Horace Hunley scheduled a demonstration of his boat in Charleston Harbor. He announced his vessel would dive beneath the CSS Indian Chief and surface on the other side. Once the submarine disappeared beneath the waves, it was not seen again for weeks. Bad weather delayed search efforts and divers did not recover the H. L. Hunley until November 7th. It was found deep in the harbor channel, with its bow buried in the mud and its stern still floating. Chains and ropes were used to hoist it to the surface and place it on the dock. When its hatches were opened, there was a gruesome sight with the crew members seemingly frozen in time. Thomas Park was found with his head in the aft conning tower. Horace Hunley, still clutching a candle, was in the forward conning tower. Rescuers reported the forward ballast tank valve had been left open, allowing the submarine to fill with water. 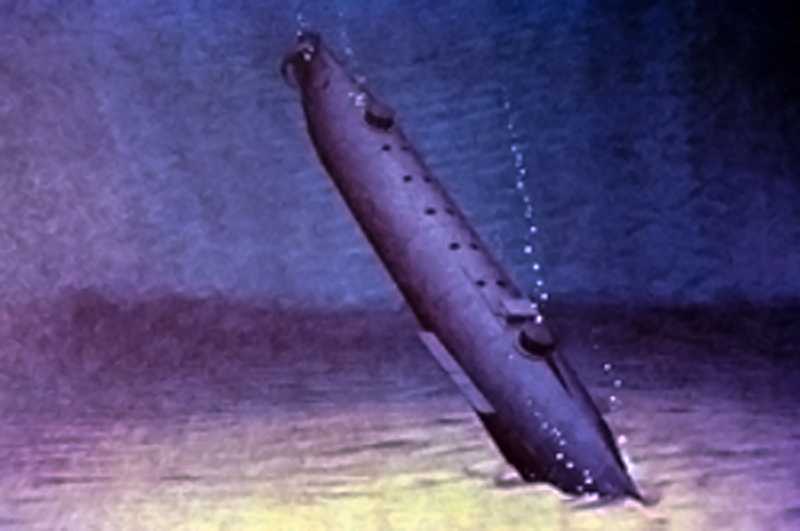 The wrench used to operate the seacock was found on the floor of the submarine leading them to theorize Hunley had either forgotten to close the valve or lost the wrench and was unable to close it. The sub’s keel weights had been partially loosened, which suggested the crew realized they were in danger, but not in time to save themselves.